The Future of Property Rights Program traveled to Colombia in August 2018 to both teach and learn about technological innovation. A summary of our trip can be read here. We now shift our attention to rural land reform in the South American country, and the various challenges hindering its implementation. Land distribution in Latin America is the most unequal in the world --with Colombia as the worst. In 2016, Oxfam reported that 84% of small Colombian farms controlled just 4% of productive land. The South American state has long suffered from this immense disparity in land ownership. The consolidation of holdings began during the Spanish colonial period, and the highly skewed distribution of property established at that time persisted to the modern era. According to the Stockholm International Peace Research Institute, 0.2% of farms comprised roughly 30% of all Colombian farmland in 1960. Rural poverty and underdevelopment helped to create the violent militant and criminal groups that plagued Colombia in the 20th century. The Revolutionary Armed Forces of Colombia (FARC), the largest rebel group in the country, were founded in 1964 by small farmers and land workers committed to fighting inequality. The FARC follows a Marxist-Leninist ideology and has long striven for the redistribution of land throughout Colombia. Roughly 7 million Colombians --or 15% of the population-- have been internally displaced as a result of the violence. All parties to the conflict have seized politically and/or economically valuable land from peasants, indigenous communities, and Afro-Colombian minorities. An estimated 8 million hectares of land --or 14% of Colombian territory-- have been acquired illegally. 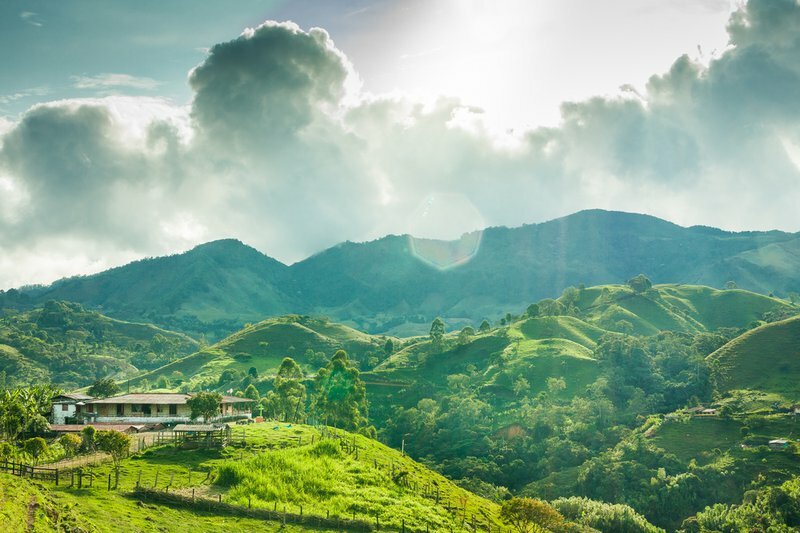 As recently as the 2010s, an estimated 0.4% of Colombians owned 62% of the country’s best farmland. Rebel leadership continues to assert its ideological belief in the redistribution of property. The very first section of the 2016 peace agreement between the FARC and the previous government of President Juan Manuel Santos explicitly deals with issues of land ownership and rural development. Law 1448 of 2011 (Victims and Land Restitution Law) allows those dispossessed of land during the conflict to apply for its legal return. The law led to creation of the Land Restitution Unit, which promotes special judicial proceedings in order to more efficiently return illegally acquired land. It further authorizes the use of unconventional evidence given that many displaced Colombians have lost documents relevant to property ownership. Resolution 181 of 2013 creates a program to formalize ownership rights over private rural fields. The program also supports the clearance of land title in cases of incomplete or irregular documentation. Yet land reform, even under the most favorable circumstances, is a complicated and time-consuming process. Change in rural Colombia is underway, but the ongoing projects face significant and interrelated challenges. Four are highlighted below. Estimates vary regarding the amount of land that must be legally restored under Law 1448. The Colombian state “considers that only 2 million hectares have been stolen in the conflict and it is this amount that the government plans to restore.” Amnesty International maintains that approximately 8 million hectares must be restored. Regardless, the task at hand is enormous. It is also slow moving. Fewer than 300,000 hectares were returned to peasants by May 2018, and only 7,468 cases --less than 7% of the total-- were decided by judges. A report published by Harvard deduced that the government will not complete compensation for victims before Law 1448 expires in 2021. The formalization of rural land titles is also a substantial initiative, and it is complicated by a lack of integration between the national registry and the national cadastre. Approximately 48% of the 3.7 million rural parcels mapped by the national cadastre did not have formal titles in 2017. An unknown number of parcels --estimated in the millions-- are not even recorded with the cadastre. But under Resolution 181, the problem of informality is intended to be solved by 2021, as well. Devex editor Elizabeth Dickinson notes that land reform must be accompanied by extensive development programs. Poor farmers require financial support and comprehensive training in order to rebuild their lives. Reports indicate that up to 90% of Colombian internally displaced persons live in urban areas or informal settlements surrounding major cities. For many, return to the countryside will not be a viable option without opportunities for improved livelihoods. Collectively, these initiatives will cost billions of dollars and will last for years --if not decades. Although some government agencies are embracing technological innovation and altering operational models, any successful implementation will require funding, political will, and efficient use of bureaucratic and judicial resources. The task is far from impossible --but it will certainly be difficult. Corruption: the country has experienced persistent and systematic corruption. 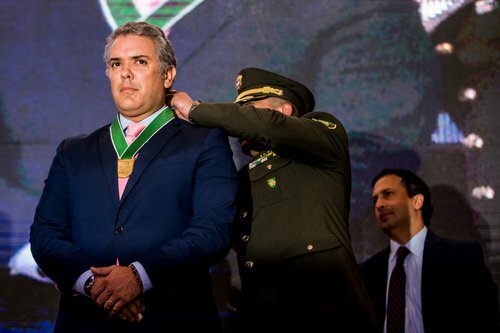 According to the 2017 Transparency International Corruption Index, Colombia currently ranks 96 out of 180 states. Corruption continues to erode public confidence in politicians nationwide. Collusion: security forces operating in rural areas occasionally had/have links with paramilitary groups. These units often acted together to carry out the forced displacement of poor, rural Colombians. 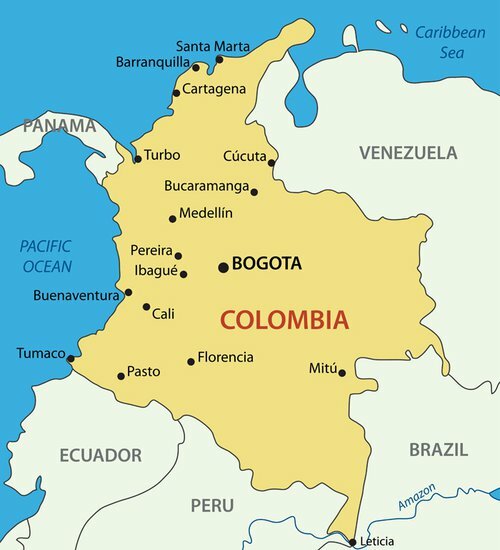 Poor Service Delivery: some Colombians may be reluctant to interact with the state due to disillusionment based on prior personal experiences or those of friends and family members. Other issues might include absence of awareness or limited understanding of Law 1448 and/or Resolution 181; and difficulty accessing relevant institutions. Perhaps the most serious threat to rural reform is ongoing violence in the Colombian countryside. People continue to flee due to armed confrontations and human rights violations. Even though thousands of FARC soldiers have demobilized, other rebels remain active. New groups have also emerged to fill the subsequent power vacuum. Notably, a right-wing paramilitary group, known as the Army Against the Restitution of Land, has emerged in the north and southwest of Colombia. “Such a public stance against restitution can only increase the fear and risk for those returning to their land.” These groups, along with bandas criminales (criminal gangs), continue to carry out illegal acts; pursue political and economic agendas; and collude with security forces, government officials, and businesses. At least 72 land restitution claimants and leaders have been murdered. Thousands more have received threats against their lives. Thomson notes that criminal investigations related to land reform “have been, at best, half-hearted.” Civil society groups suspect that corporate entities may be behind these attacks. Land claimed by IDPs has often overlapped with land coveted by large commercial interests. Taken together, skepticism and violence have deterred the land reform process. Many displaced people are too scared to seek state support and return home. The Colombian Ministry of Agriculture originally estimated that 360,000 cases of land abandonment or land theft would eventually be considered under Law 1448. As of late 2018, however, the government has received only 112,000 claims. In particular, there is strong conservative opposition to land reform and rural development. Duque’s coalition --containing large landowners-- benefits from the status quo. USAID comments that tax incentives and government subsidies encourage the well-off to retain land even if it is not used efficiently. The new administration is already disregarding the peace agreement’s vision of “bottom-up” development focused on marginalized communities. Duque plans to abolish both the National Land Agency, established to provide land titles to small farmers, and the Agency for Territorial Renewal, created to administer rural development. He will instead allot their responsibilities to the Ministry of Agriculture. Perhaps unsurprisingly, the Ministry has long been controlled by the interests of large-scale agriculture, traditionally seizing resources intended for peasants and allowing widespread land theft. Many voters are admittedly skeptical of the peace deal and no leader would be immune to the enduring partisanship of Colombian politics. But the apparent unwillingness of Duque to pursue genuine land reform could have significant consequences for the future security of his country. “The land issue has always been at the heart of the conflict in Colombia, where the land distribution always has been one of the most unequal on the world,” said Ilhan Can, a researcher at a Medellín-based NGO. The Santos administration recognized this fact, and worked with FARC leadership in attempt to improve rural inequality. The ensuing reforms are undoubtedly ambitious, expensive, sweeping, and controversial. If implemented correctly, however, the initiatives could positively affect millions of poor farmers and help to secure a lasting peace.